Derek‘s expertise in equine internal medicine is recognized both nationally and internationally, particularly in equine oncology and dermatology. 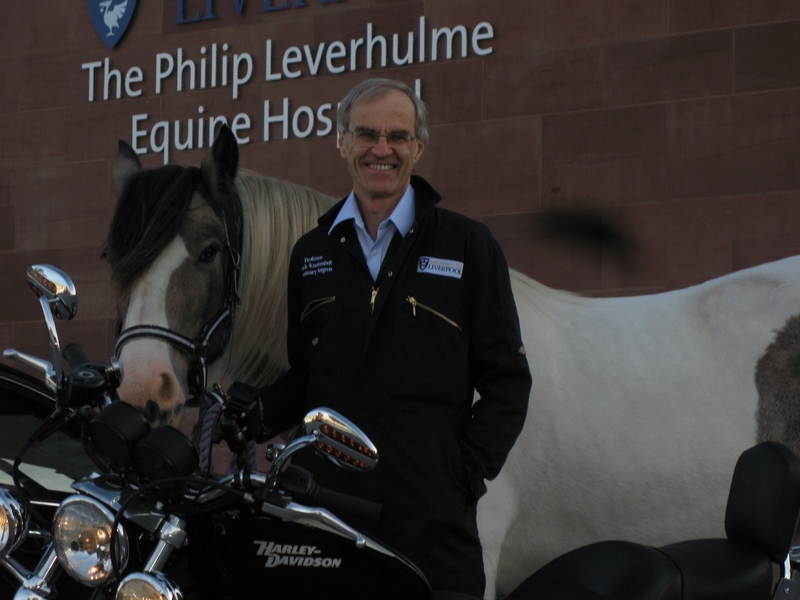 He is a Diplomat of the European College of Equine Internal Medicine and holds a personal Chair in Equine Medicine at the University of Liverpool. He has published widely in journals and textbooks and is frequently invited to speak at national and international meetings. 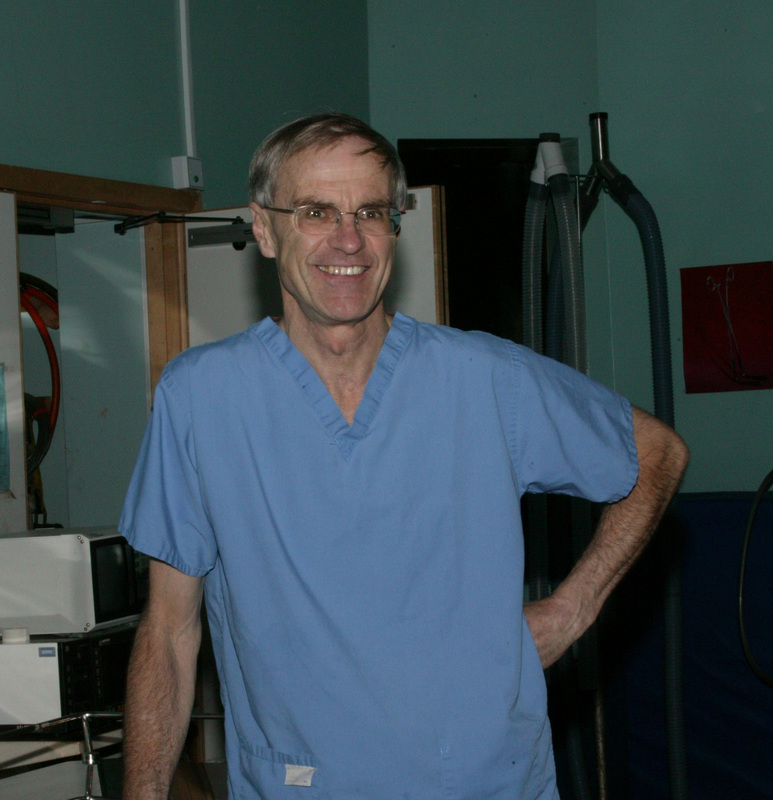 He received the Animal Health Trust Scientific Award in 2003, the BEVA (Blue Cross) Welfare Award in 2004 and the OBE in the Queen’s Birthday Honours of 2005 for his services to Equine Medicine. He is actively involved in many domestic and international charities relating to equine welfare and works tirelessly to support these causes. 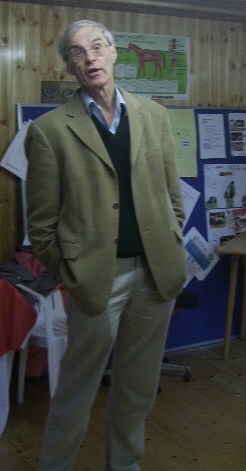 Derek has supported H.A.C.K. from the very begining, his advice and guidance has been invaluable, we have always appreciated his time and energy and the encouragement and stregnth he has given to us especially when things have been difficult to face and we have lost the fight but the battle continues against cruellty and neglect of that Noble Beast, The Horse. Such a good man, we are so very proud to know you. Pictured right is Derek in the education unit - he wrote the paragraph below. The new education unit was officially opened by Prof. Knottenbelt in 2011, others in attendance were Lesley Griffiths AM, Ian Lucus MP, Graham Capper Senior welfare officer for WCBC, prepresentatives of Ann the Dutches of Westminster, World Horse Welfare and The Horse Trust . Members of the local community councils' of Bradley and Llay and others. A tree was planted in memory of Bill Crompton who was a great ambassador of H.A.C.K. "The welfare of our animals is fundamental to our civilisation and children grow up as better people if they understand what welfare is and why it is important. A person who has empathy with animals is closer to nature and to God and will have a better attitude to his / her fellow man. 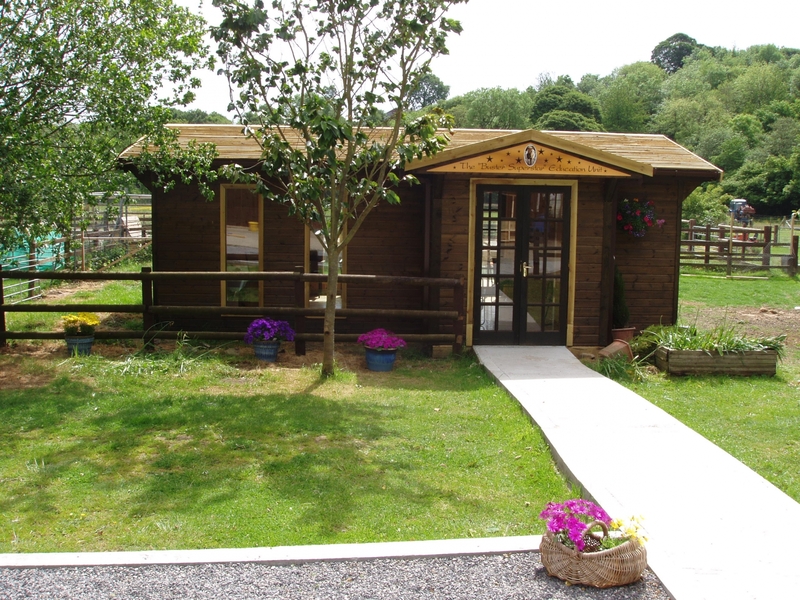 This centre is dedicated to the welfare of animals and to the encouragement of empathy and understanding of the needs of the animals who depend upon us and who trust us implicitly. A horse serves willingly and honestly, he gives his best and deserves to be respected. An understanding of animal welfare cannot be gained from books and magazines – it requires exposure to the animals themselves and in that way the human spirit is uplifted. The bond between a person and a horse is one of the most basic sentiments of mankind." 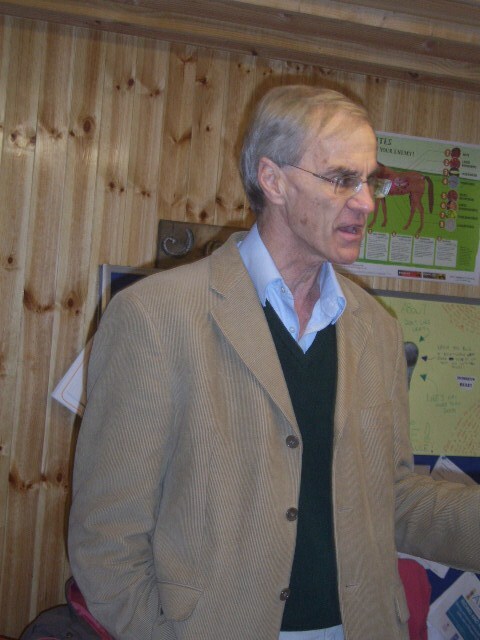 Here is a video from The British Horse Society interviewing Prof Knottenbelt about responsible Breeding of Horses.